Burrrrrr…fifteen degrees is the high this afternoon on this February day. 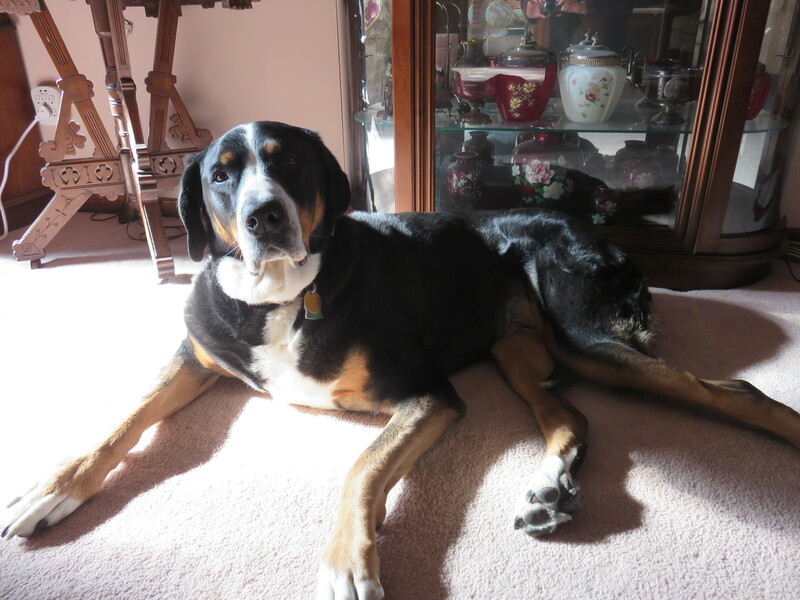 I look around the room and see our dear Greater Swiss Mountain dog basking in the sun coming through the window. She is so relaxed and seemingly soaking up vitamin D for her body. I think to myself that she certainly knows how to care for herself and live in the moment finding light. How good at finding light and appreciating it, am I, I wonder? O Sun, com fill me with you. These elements of fire, earth, wind, and water are on my mind today, especially fire and one of it’s forms, light. I desire to go sun myself before the light is gone today.